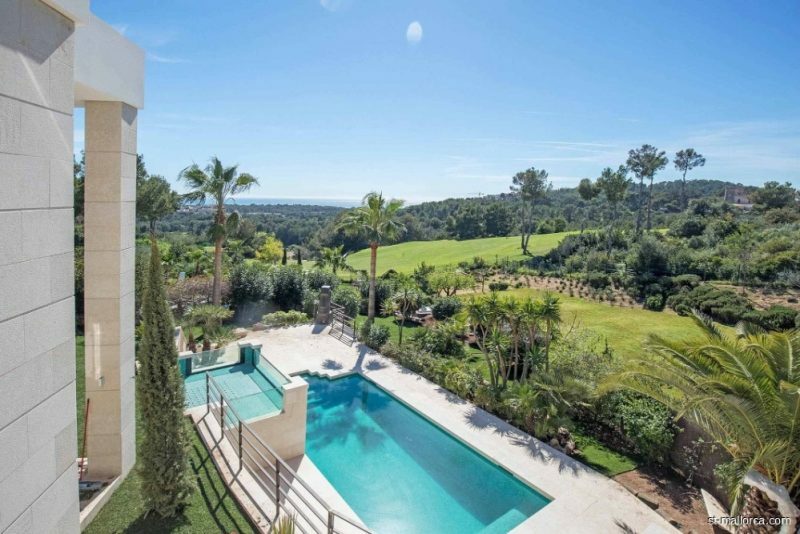 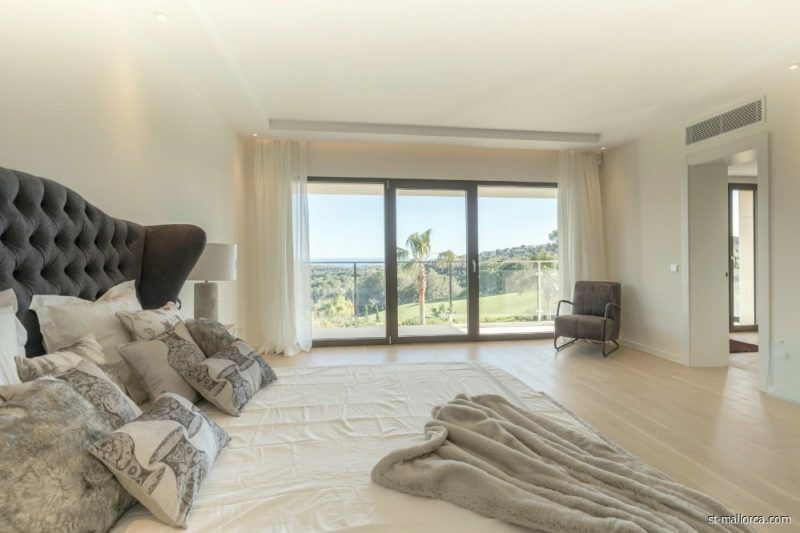 High above Bendinat, right on the golf course, this new villa offers peace, privacy and a panoramic view over the golf course to the sea. 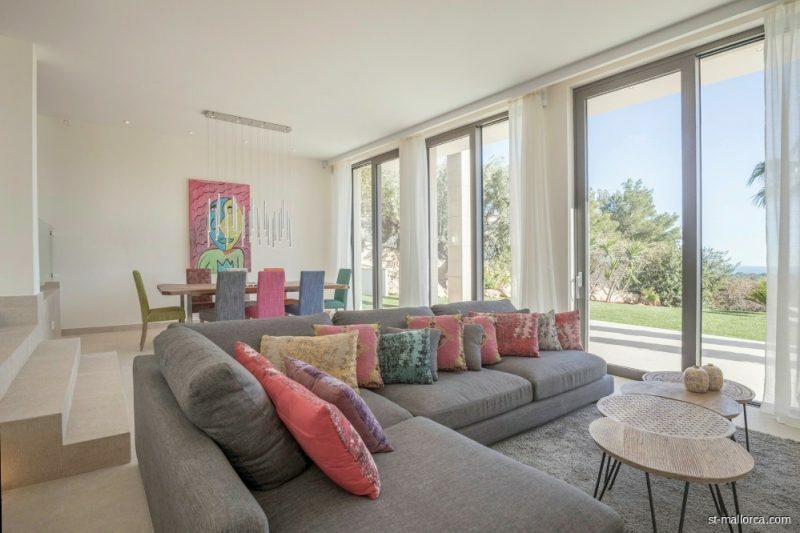 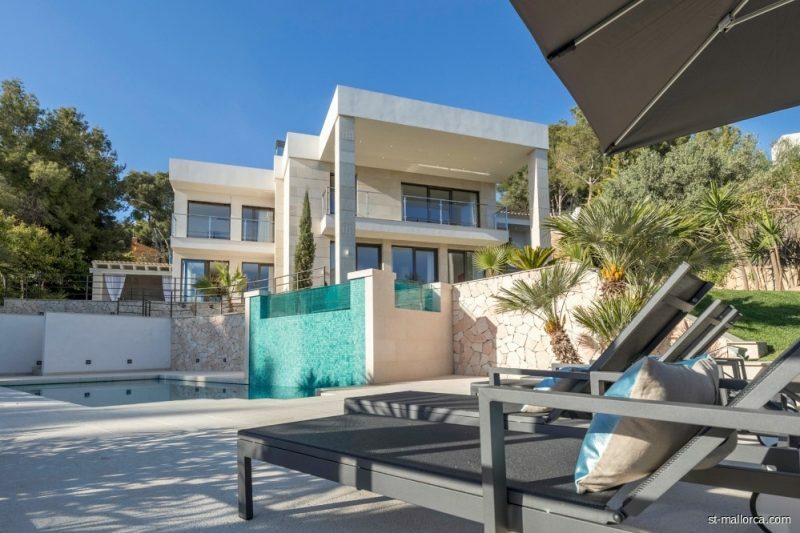 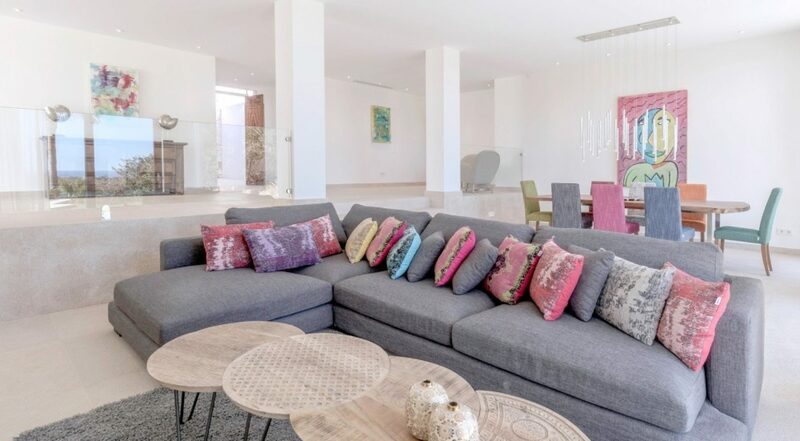 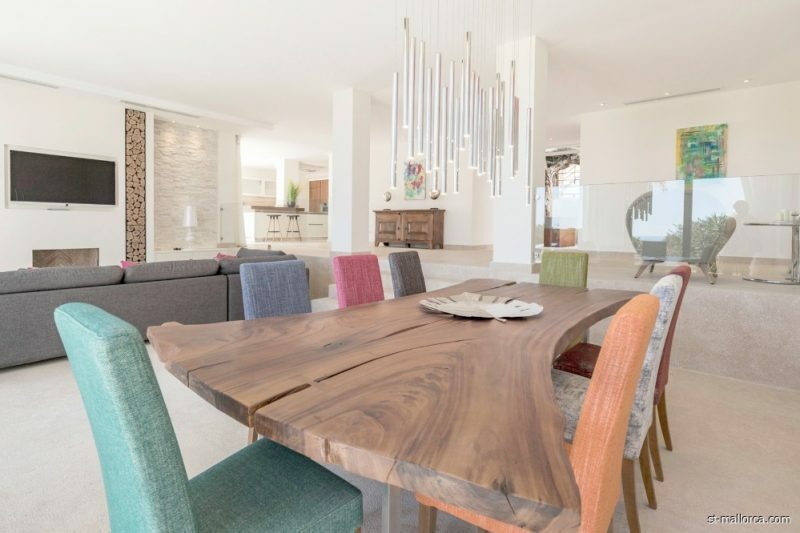 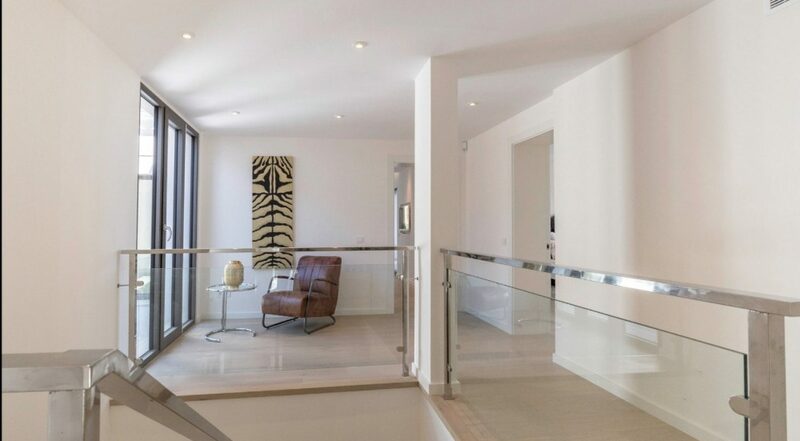 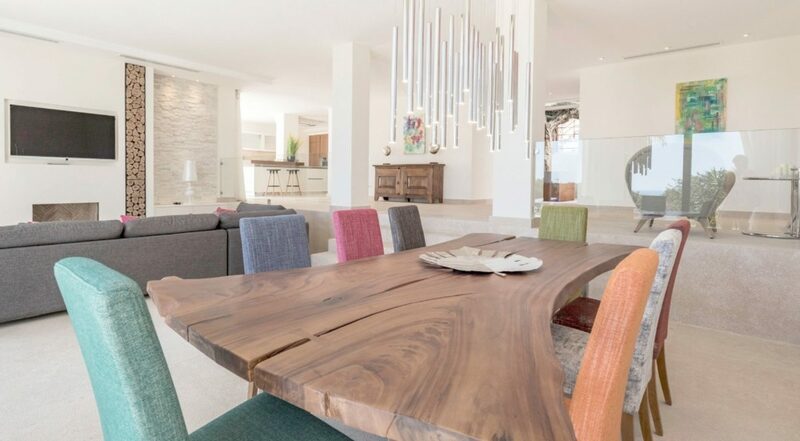 A perfect family home on Mallorca and close to Palma. 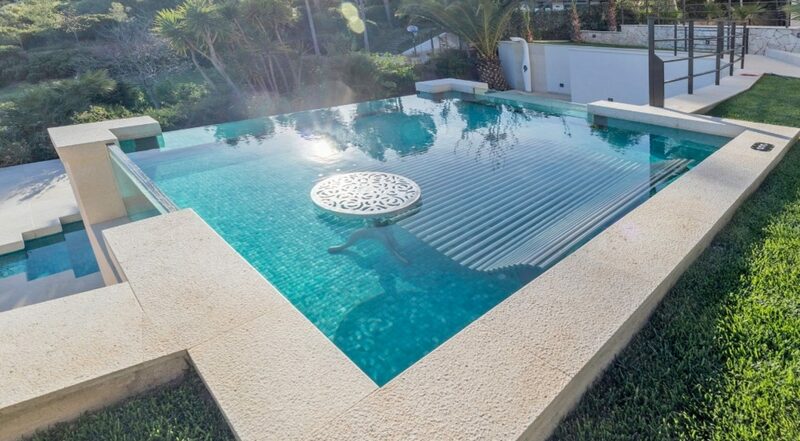 Also unique is the upper “lounge pool” where you will enjoy your sundowner drink, overlooking the sea. 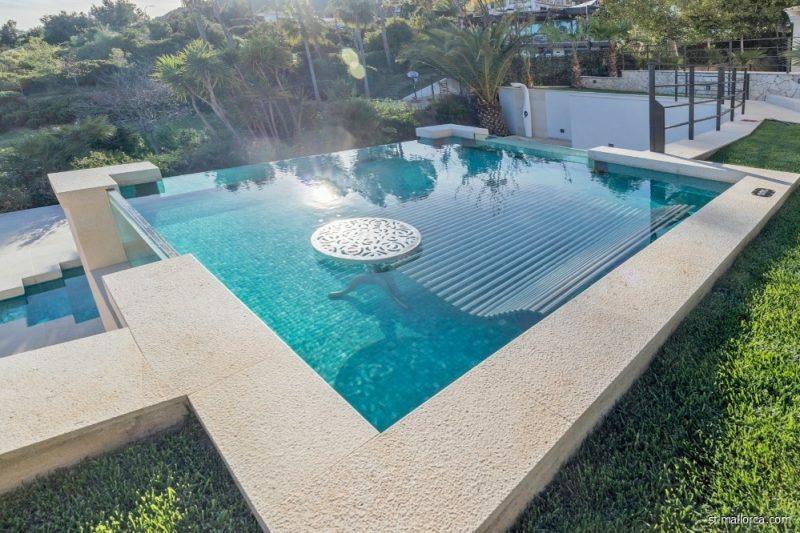 On the lower terrace is another large swimming pool. 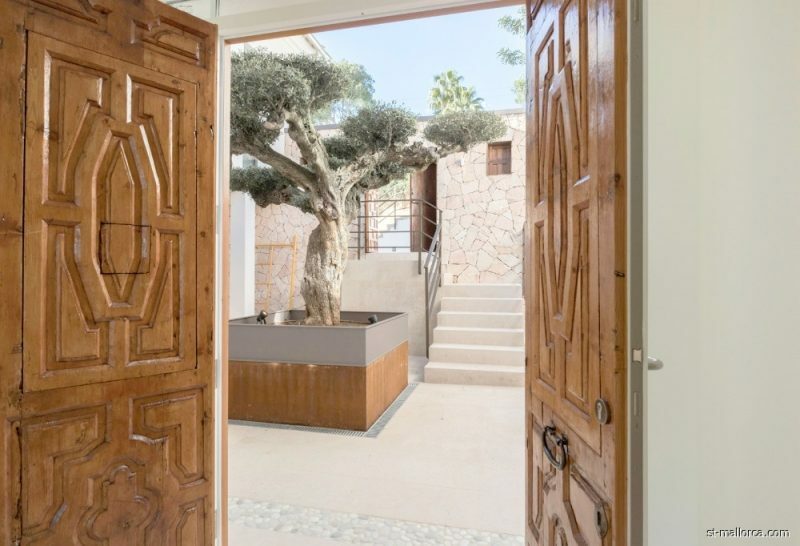 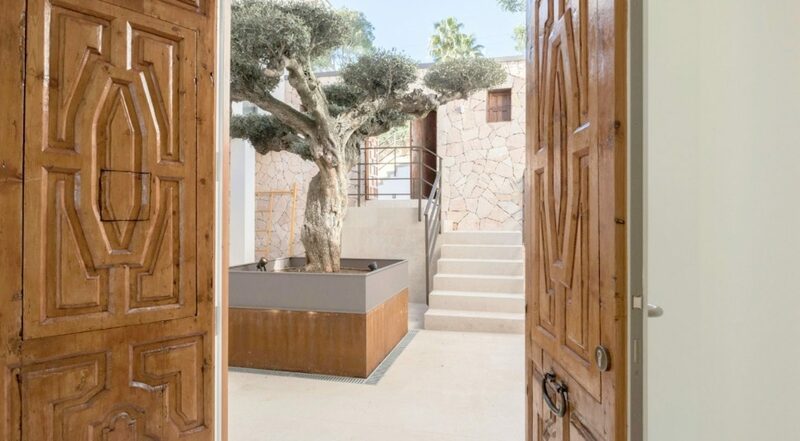 The modern, mediterranean entrance, with patio & olive tree, promise a lot and you will not be disappointed when entering this villa. 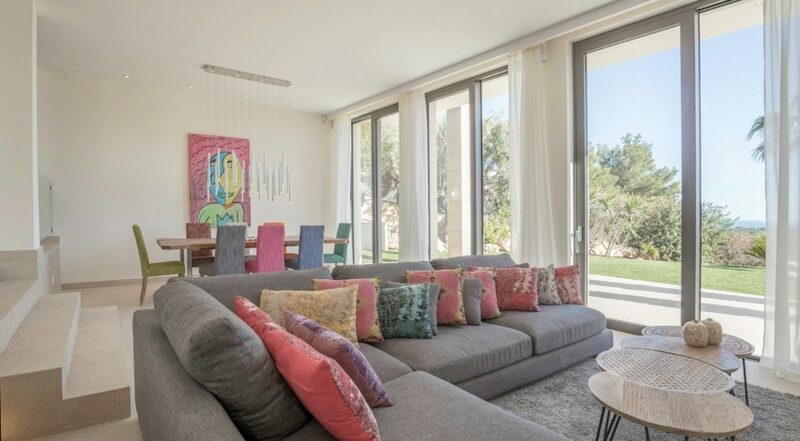 The large rooms are open-plan, but well separated from each other and perfectly connected by the low window with the different terraces and garden. 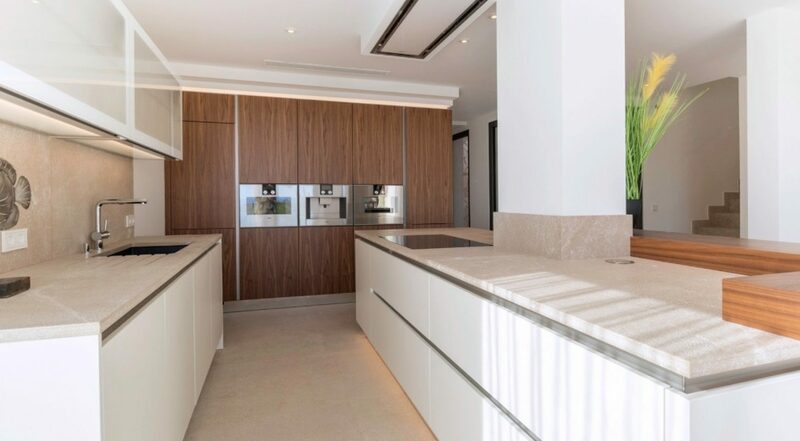 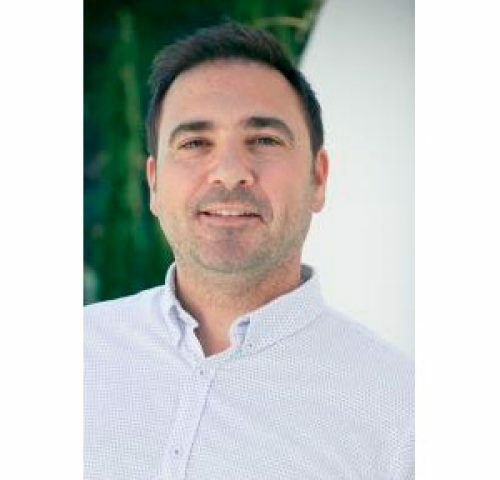 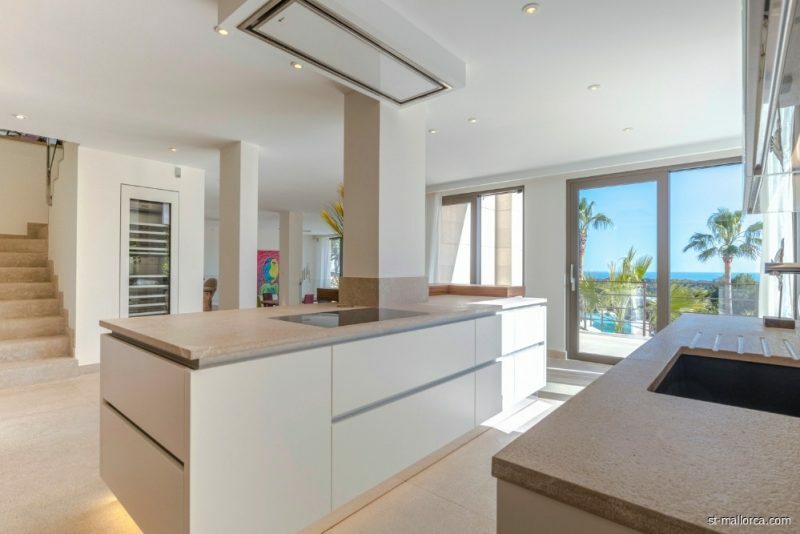 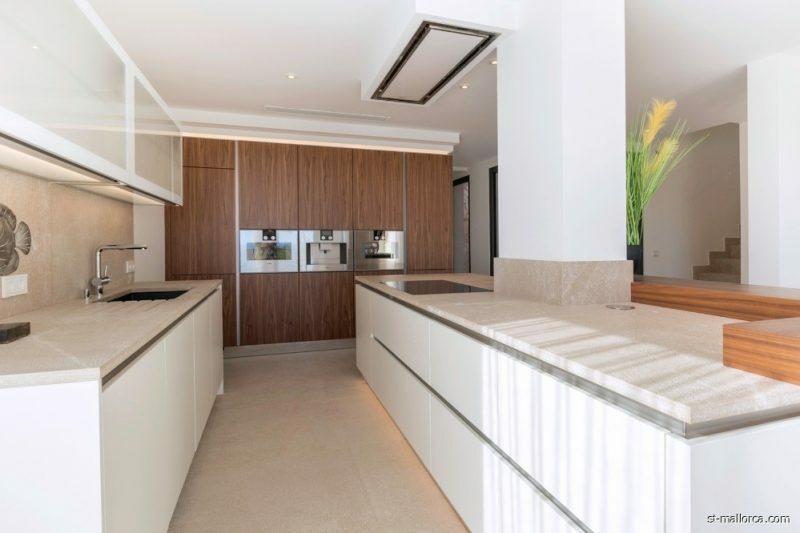 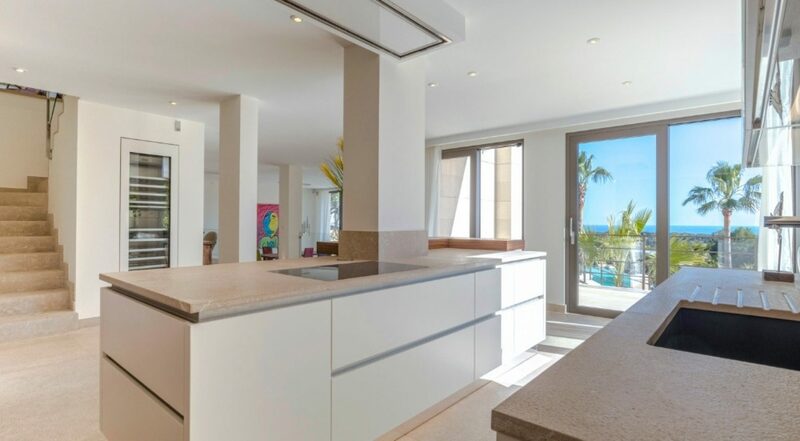 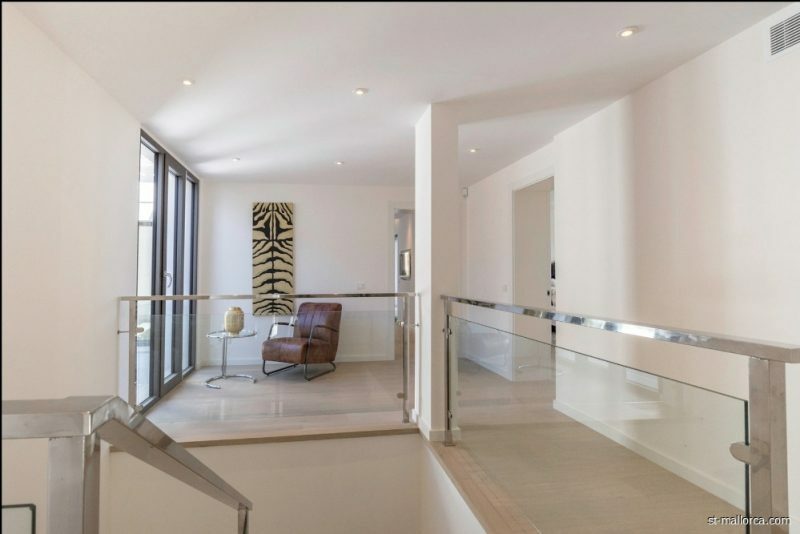 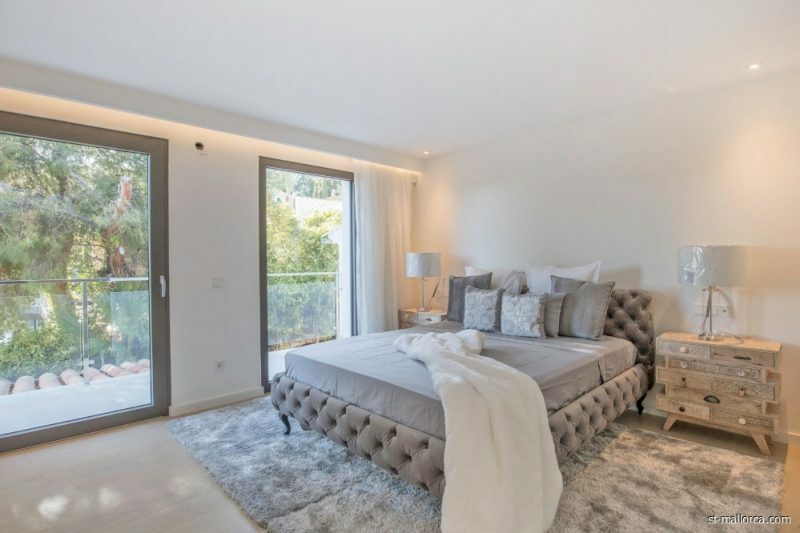 On the ground floor is the high quality kitchen, utility room, bodega for your Mallorcan wines and the large living and dining area. 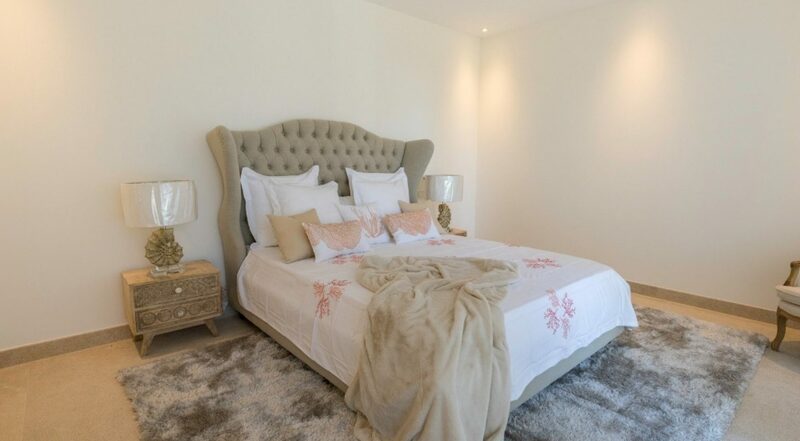 There is also a guest toilet and a bedroom with bathroom en-suite. 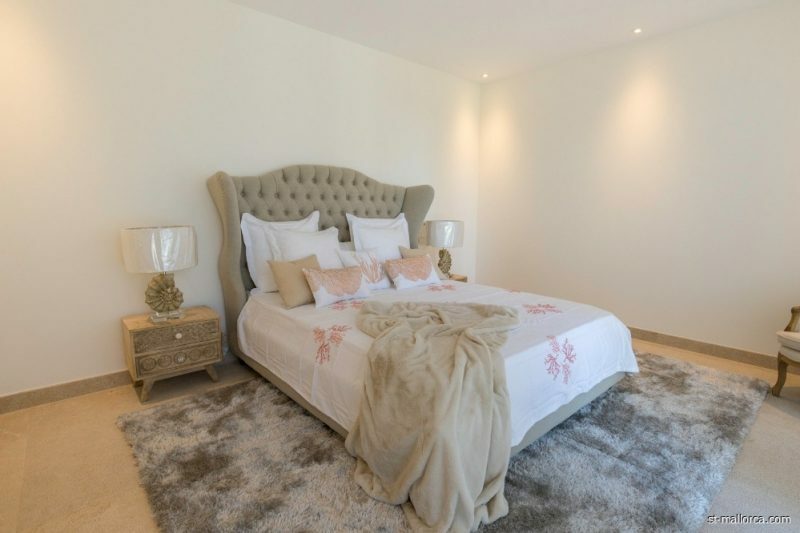 On the upper level you will find 4 large bedrooms with bathrooms en-suite. 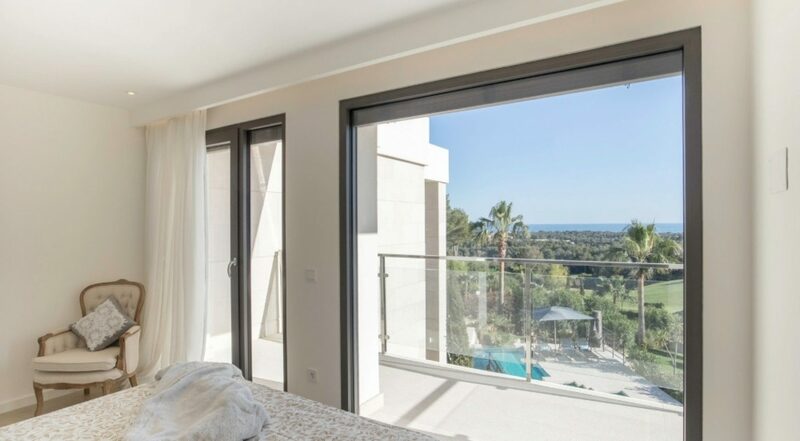 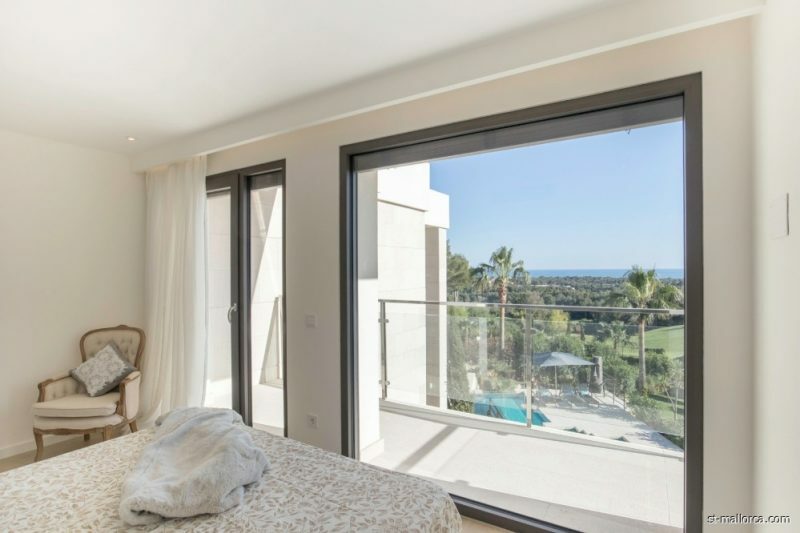 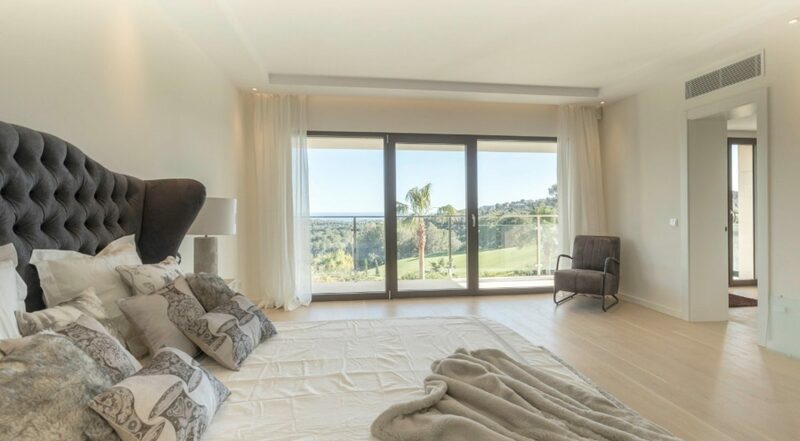 From all rooms you can enjoy a wonderful view over the green landscape, the golf course and the sea. 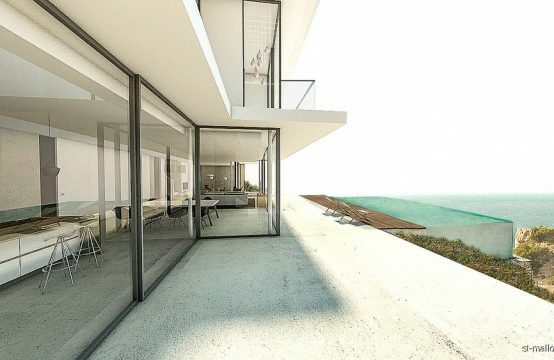 Only high-quality materials were chosen for the construction. 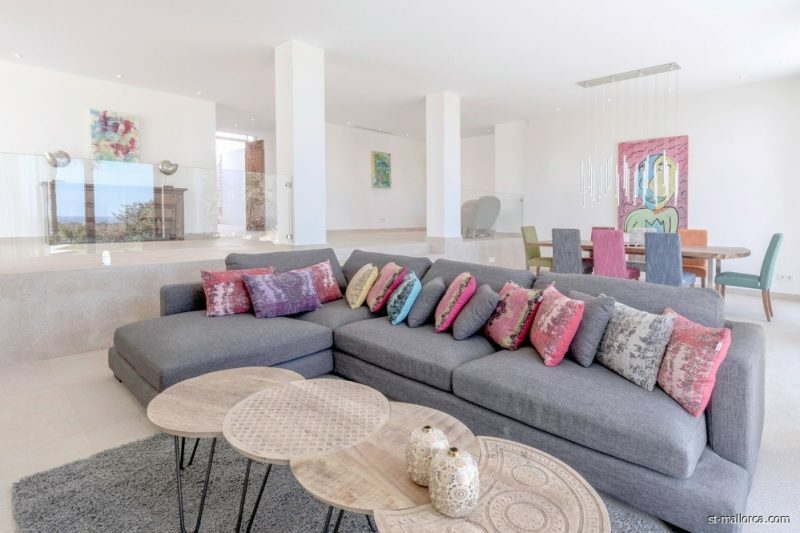 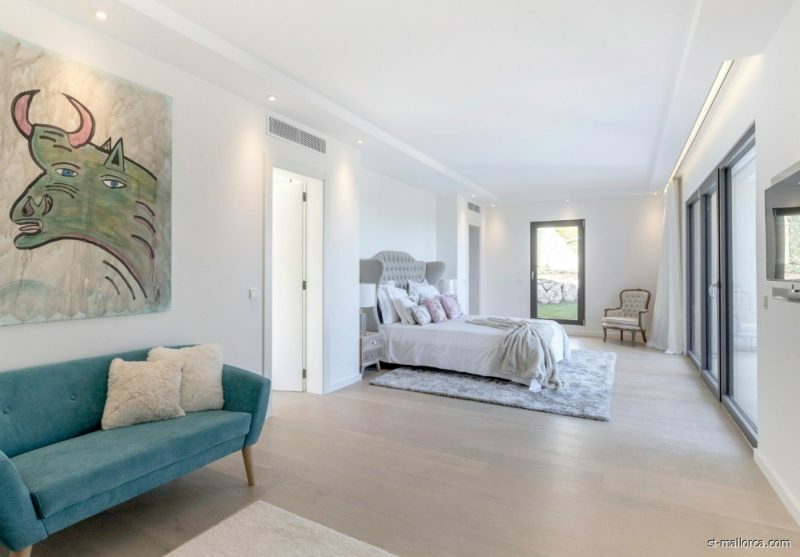 The villa is equipped with many details as well as with 2 swimming pools, underfloor heating via heat pump, air conditioning h/c, natural stone floors and a garage belongs also to it.